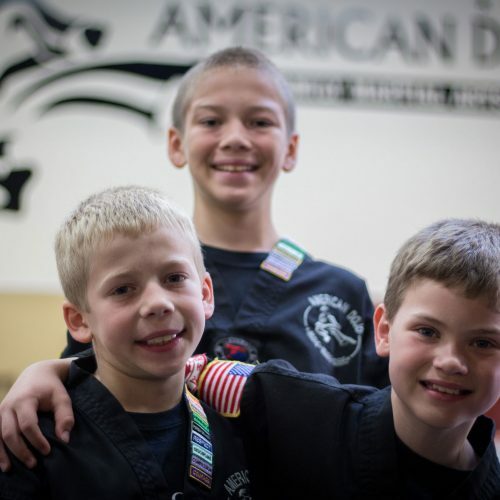 American Dojo was founded by Dean Konley in 1994, out of his desire to share the life- changing power of martial arts with families and individuals in the Waukesha county area. As a troubled youth of 14, Dean sought out martial arts as a means of gaining the type of success & accomplishment he had failed to achieve in so many other areas of life. As a child, he struggled with dyslexia. He was ridiculed by his peers for his inability to read, and misunderstood by his teachers. 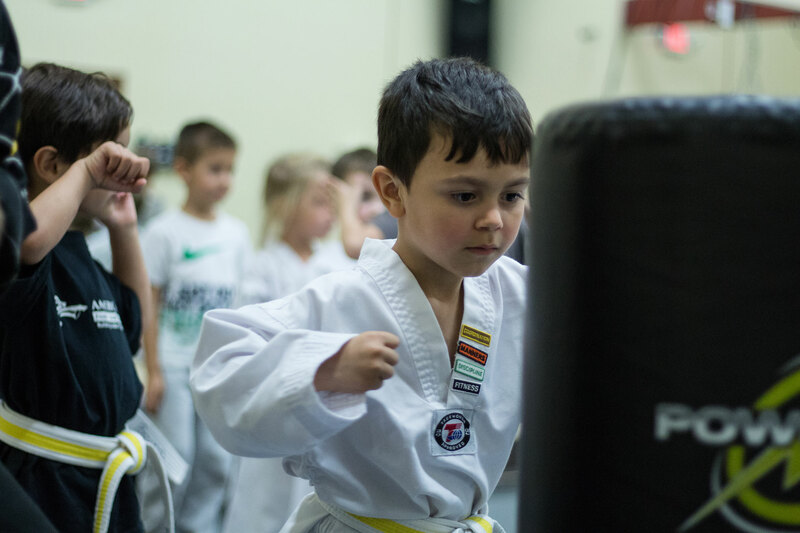 A turning point came for him when he enrolled in a local Taekwondo academy. Dean’s life began to change. Not only had he found a place to BELONG, he had also found something he could truly excel at. He had found mentors who were imparting to him the discipline, self-confidence, and respect for himself & others that he so desperately needed. These mentors believed in him, and he was beginning to BELIEVE in himself. Dean ACHIEVED his first Black Belt in 1986, and began teaching classes at his instructor’s school. Not long after, he graduated from high school and continued his Taekwondo training into early adulthood. It was at this time that he began exploring other styles of martial arts as well, including Hapkido and Jiujutsu. 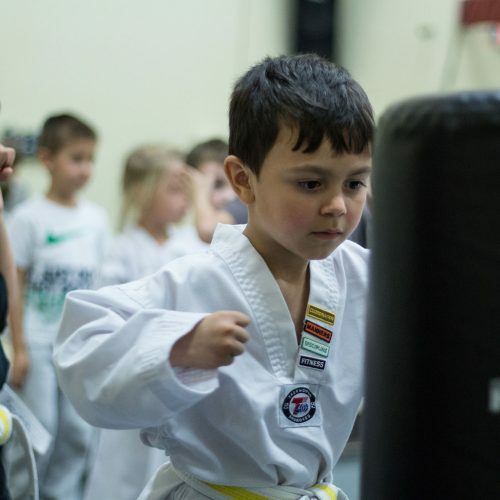 His passion for sharing martial arts with others became so strong that in1994 he founded American Dojo in Waukesha with virtually no capital, but loads of sweat equity. His martial arts experience had taught him well the value of resolve, perseverance, and hard work. 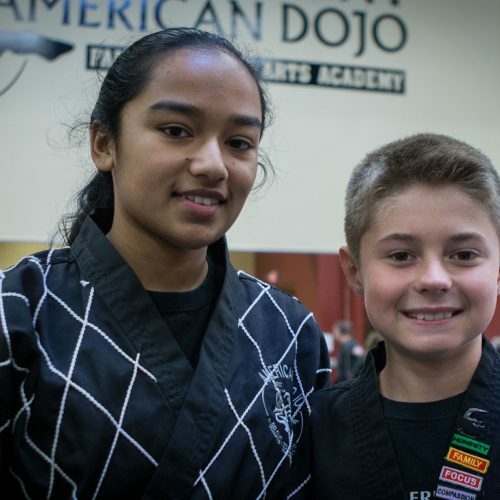 In 1996 Dean married Virginia who soon earned her Black Belt, and since then, the couple has worked together to develop the successful academy, highly qualified staff, and dedicated student body that they enjoy today. 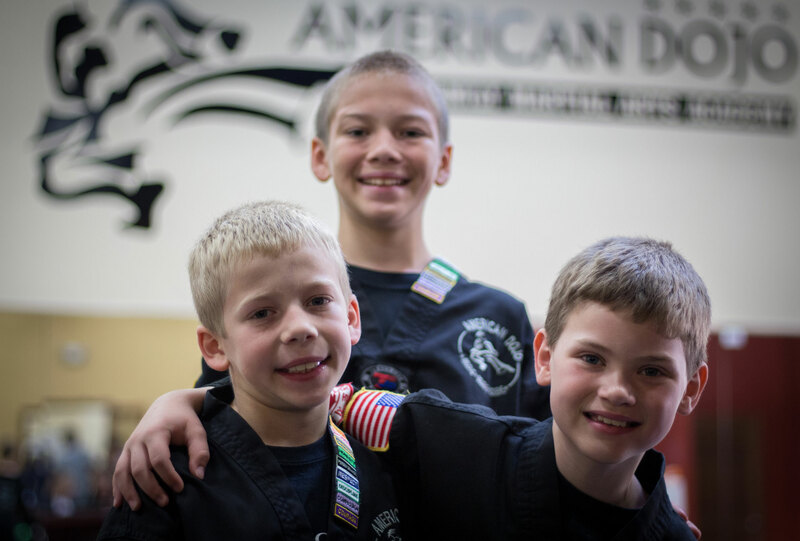 They have established the vision for American Dojo of “BELONG, BELIEVE, ACHIEVE”. This vision is central to all that the Konleys and their team does. 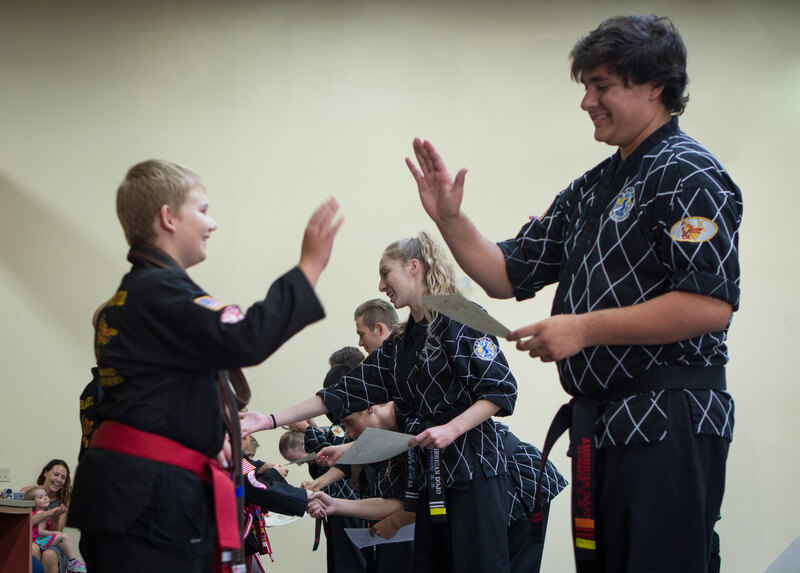 It is driven by Master Konley’s personal experience, and the experiences of countless others whose lives have been enhanced and empowered in the pursuit of Black Belt excellence. Virginia is a Milwaukee/Waukesha area native. Those who know her well describe her as thoughtful, caring, persistent, intuitive, driven, and intentional. Her passion for education extends outside the 4 walls of the Dojo, with over 20 years experience teaching children in a variety of settings: homeschool mom, Sunday School teacher, children’s worship leader, elementary history and language arts teacher, and children’s “book publishing” facilitator. Her love for books and a well-crafted phrase is matched only by her love for Martial Arts. 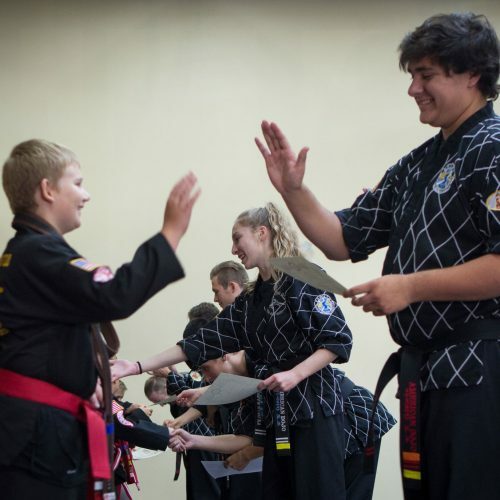 Master Konley founded American Dojo in 1994, out of a desire to share his passion and the life changing power of martial arts with Waukesha area individuals and families. Starting a business from scratch with almost no capital was not an easy undertaking, yet with his hard work, determination, and big heart he was able develop a dedicated student base. With each training session, our family-oriented approach challenges the individual both physically & mentally. 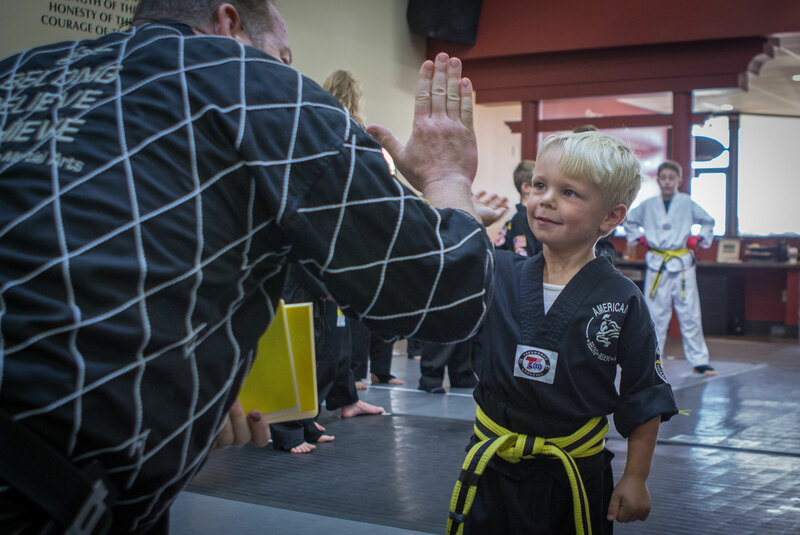 Meanwhile, we inspire at the heart level with our exclusive Dojo Virtues curriculum…. seeking to impart positive character traits like Focus, Respect, Perseverance, while empowering parents with tools to encourage follow through in the home, at school, and out in the community. Our programs are systematic & time-tested, our methods innovative. As an organization, we are service driven. We want to earn your business each time you walk into the Dojo…. it keeps us constantly improving, always seeking to get better at what we do! NO membership contracts are ever required. NO belt rank promotion fees or “testing” fees. NO “enrollment fees” or “down payments” required. 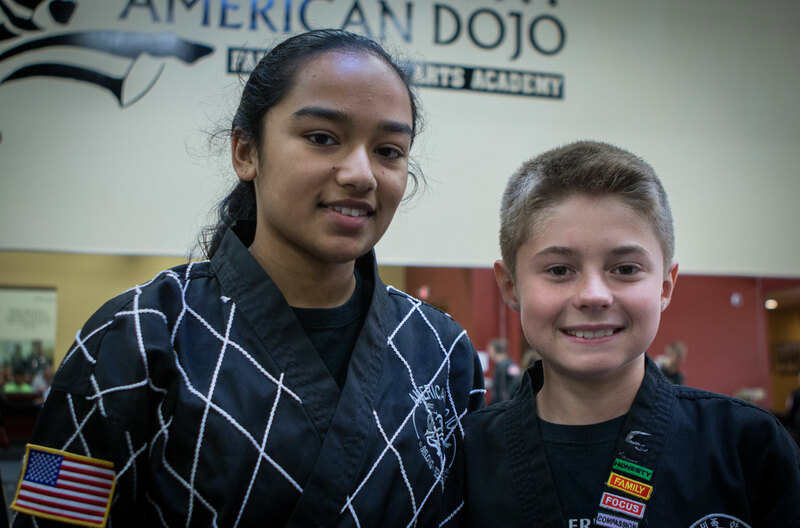 American Dojo is dedicated to provide an encouraging community where people of all ages can Belong, Believe, Achieve… to Become Extraordinary! © 2019 American Dojo Martial Arts. All Rights Reserved.